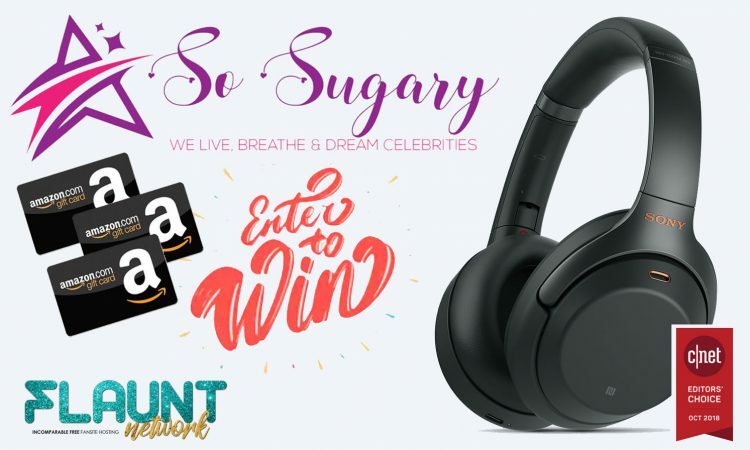 To celebrate the launch of the brand new SoSugary.com , we are starting off with a contest where you can win a pair of the new and award-winning wireless headset WH-1000XM3 from Sony. This is as good as it gets when it comes to wireless noise canceling headsets. Start listening to your favorite artists like you’ve never heard them before! We want to build a great relationship with all you guys, so entering this contest is all about that. To enter the contest simply complete one of the actions in the contest widget embedded at the bottom of this post. You can also complete more than one to score more points to increase your chance of winning. Besides the main prize, 3 lucky participants will each receive a Amazon gift card for $25. The winners will be announced exactly one month from now, so what are you waiting for! 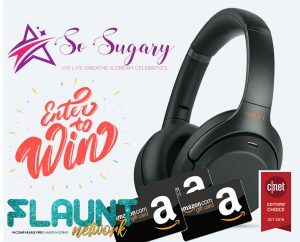 SoSugary.com is a brand new portal for the Flaunt Fansite Network which will act like a hub to promote all the great content from our hosted fansites as well as regular contest for the Flaunt network where you can win cool prizes on a weekly basis! We will also have tons of awesome content exclusive to SoSugary.com so we hope you all will become regular users of the new site. Also don’t forget to follow us in our new social channels and sign up for our weekly newsletter so you don’t miss out on all our great content and future contest! We are Giving Away a set of the award-winning headset from Sony – WH-1000XM3!